Who Is Sue? South Dakota’s Biggest Dino #infographic ~ Visualistan '+g+"
SUE the Tyrannosaurus rex was found here in South Dakota, and “she” is the biggest, most complete, and best-preserved T-Rex fossil ever found. 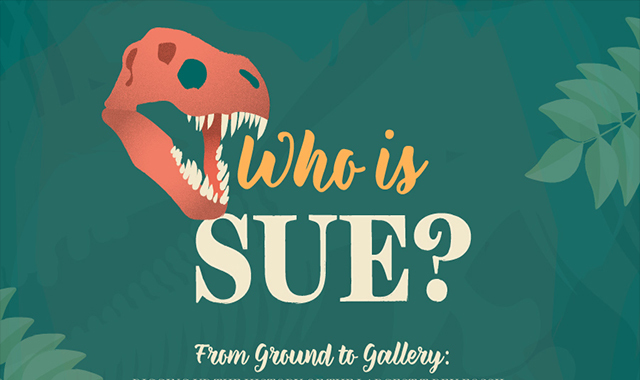 SUE is also important because of a months-long legal battle for her ownership after her discovery.